Saffron in ½ cup of warm milk. 1. Clean the fish and make a wet marinate with above mentioned marinate ingredients; apply it on fish and keep it aside. 2. Make a paste of garlic and, ginger. 3. Heat Oil in the frying pan and shallow fry the fish flipping both the sides. When done keep it aside. 4. In same frying pan, add thinly sliced onion and green chilli to left over oil and saute until it is translucent, add the ginger and garlic paste, saute until brown color,add tomatoes,saute for few seconds,now add chopped coriander leaves and mix well. 5. Add Turmeric powder, red chilli powder,coriander powder, Biryani masala/ garam masala and salt to taste and cook till done. 7. Cover & Cook on low flame for about 5mins and wait till oil starts to separate and adjust salt. 1. Wash the rice and leave aside. 2. Heat oil in the pan, add sliced onions, all spices and saute for few mins; now add the drained rice and saute till rice combines well with all spices. 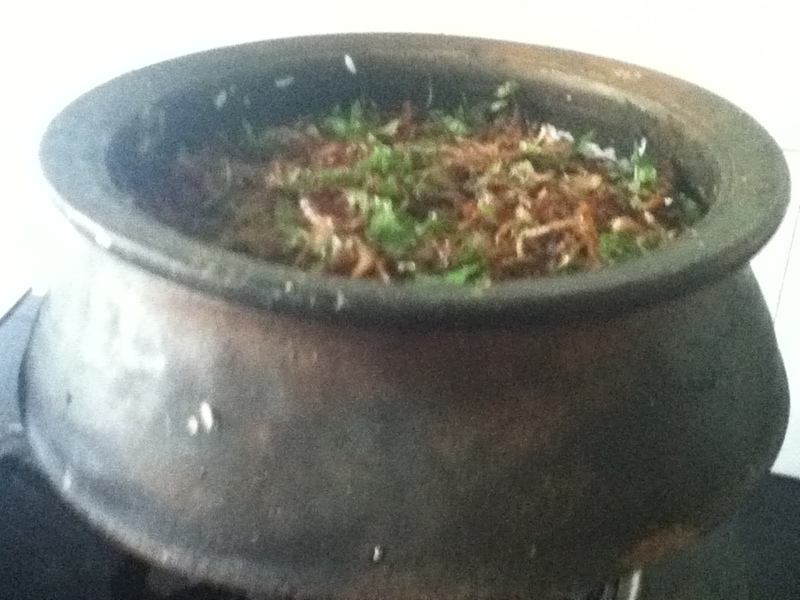 Add double the quality of Hot water and bring to boil, add lime juice, simmer and cook till water drains. Heat oil and fry the thinly sliced onion till golden and crisp. 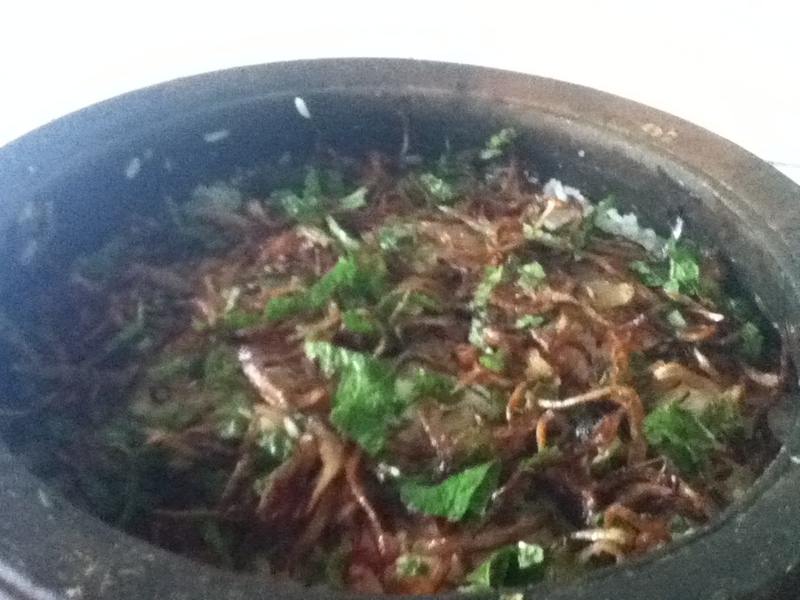 Add finely chopped mint, lime juice and garam masala/biryani masala to the fried onions. 1. Take a pan or pot, take half of the fish masala and spread it as the first layer. On the masala spread half of the cooked rice, than spread a layer of garnish and sprinkle some saffron milk. Repeat the process for the next layer. 2. You can also keep the pot or pan on an iron tava instead of keeping it on direct flame. This will avoid the masala getting burnt. 3. Close and cook on low flame with tight lid for 10-15mins. ← Honey Almond Upside Down Cake.